Kellogg's Special K - Putting Resolutions into Action! This Tasty Package Showed Up on Our Front Step! My husband and I set out some goals for our family in 2013: one of which was eating better and staying more active. I did not think that this goal would be hard for my children, who already like engaging in active play, and savouring all kinds of nutritious foods. For me, this goal was not so much about the number on a scale, but about feeling more energetic and healthful everyday. One of the first things we did as a family, was do a very nutritious shopping! A big focus for us was making our own foods, and not buying a lot of processed items. Our goal was not to be perfect, but to try to do better. 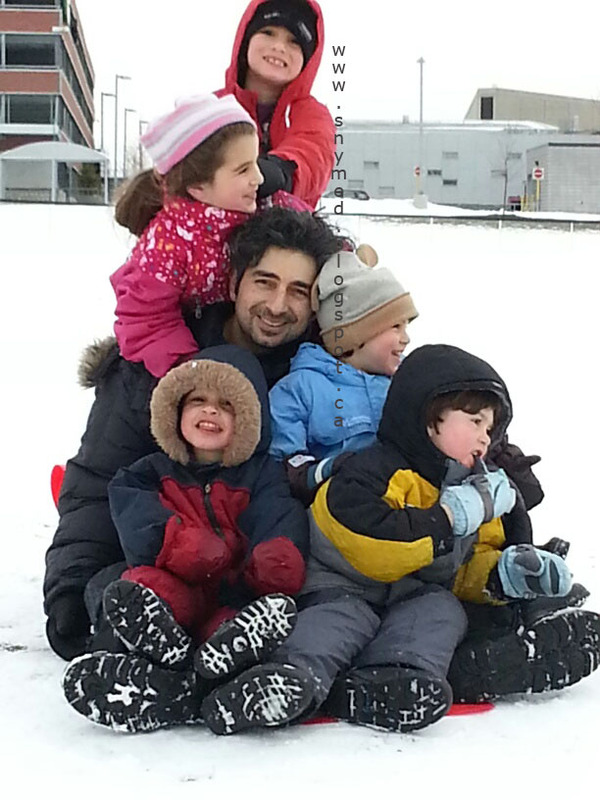 Winters are tough in Canada, but I remembered the adage "The family that plays together, stays together." So my family and I embarked on some fun winter activities together, such as sledding and taking walks on brisk days. Not only did we get our heart rates up for a sustained period of time, but we also had a great time as a family of 7. I love being a member of the Kellogg's network! Right in time for our New Year's health resolutions, a massive Special K food package arrived on my family's front step! Not only was it swagworthy, but the items in the box were perfectly aligned with my family's health goals for the year. I had decided that for 2013, I would focus on portion control, cutting out excessive junk food, and would focus on "getting more bang for my buck" in terms of eating strategically, and getting more essential vitamins and minerals. In terms of portion control, the Kellogg's Special K Crisps are only 100 calories per package of 2 crisps! Knowing that each package was only 100 calories made me feel good about treating my children on occasion. It is a very generous-sized snack, but very tasty too! My kids loved both the chocolate and strawberry Crisps. It is no secret that I love Kellogg's Special K Red Berries cereal! My kids do too, and always remove the berries from the box! But with my new 2013 vision, I scrutinized the nutrition facts label: 150 calories per 3/4 cup (with 1/2 cup of skim milk), no trans fat, excellent source of iron, vitamin D (especially when milk is added), thiamine and manganese. Vitamin D is essential for healthy bones & teeth; thiamine processes fats into energy for immediate use, and manganese plays an important role in building good bone structure and bone metabolism. I do believe that Special K products fit well with my family's healthful eating goal for 2013. 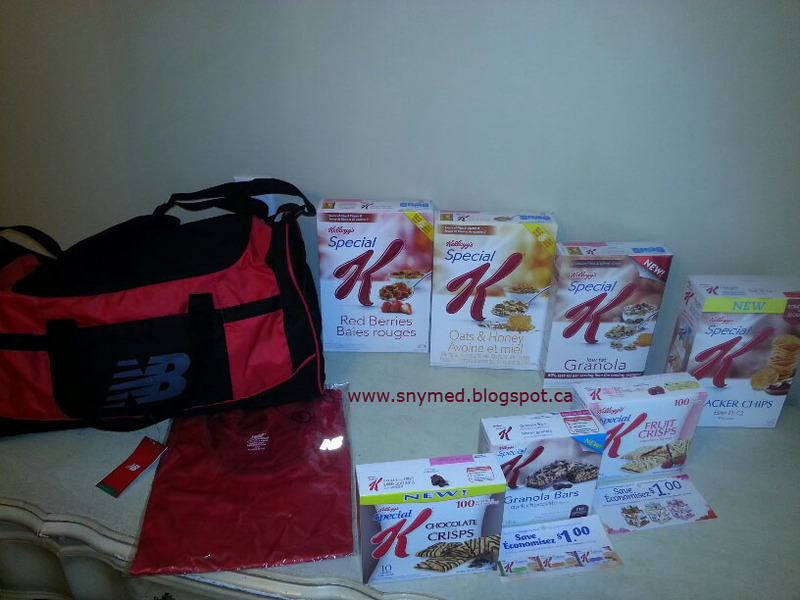 If you are also looking to eat well and get active this year, do check out My Special K plan. There is a daily tracker to help keep track of your progress and achieve your health goals. Are you hoping to eat better and/on become more active this year? Please weigh in by leaving a comment below! I've always tried to lead a healthy lifestyle in regards to the foods we eat, but one of my new year's resolution was to include extra exercise into my daily routine as well. I love the Kellogg's products and how much easier they make eating healthier :) Your family is so cute!! Thanks Brandi! The extra activity is not as hard as I had imagined. I love Special K, especially the crisps and cracker chips! I haven't found the granola yet, I have been wanting to try that one. I changed my eating habits a few years ago and lost a large amount of weight. I started getting a little too lenient as of late and had been eating too many carbs. I am trying to add more proteins, fruits and vegetables in my diet. Brenda, congratulations on your health success! You're an inspiration! Awesome & very informative. I must give some of their new products a try! Christy, I think you'll enjoy them! One of my goals too is eating better! Great package from Kellogs! Also glad to be a kellogger! One of my goals is to eat healthier too! I can start off right now too thanks to Kellogg's! Cheers to eating better, Alyssa! I heartily agree, when you've got a well-stocked fridge full of yummy healthy options all that other good stuff is so much easier! Absolutely Deanna! And my kids just gravitate to take an apple, pear or orange. They have even reached for and prepared a pomegranate of late! Love that picture of the pile up! so fun! thanks for linking up to ABC Friday! Thanks Mom vs. the boys! All 6 of them went down on the sled together--and when they went over a bump, don't ask! It's awesome you are part of the Special K family. Lucky you to get a kick start delivered right to your door-step. Talk about motivation! I too am eating better as I want to release the 30lbs I picked up last year due to stress from my divorce. I want to recommend you watch a documentary called "Hungry for Change". You can watch it free if you have Netflix. I am looking forward to hearing about your progress. Please blog at least 1x per month so we can all follow you and your family along with cheering you on. Thanks for the recommendation, Carolyn! Good luck on dropping the stress weight, you can do it! So helpful for eating right, we received this too and have already cracked some of it open :) Thanks for linking up with the Canucks Rock: All Canadian Link Up! 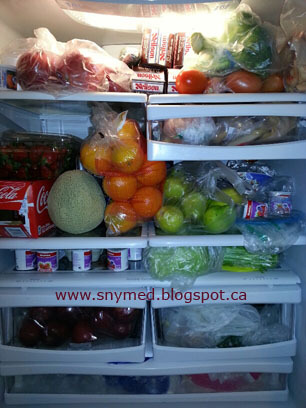 Did you know Canada: Cheers to eating right! I like Special K a lot! I love your goal and how you say it`s not about the number on the scale but about being and feeling healthy. I totally agree! 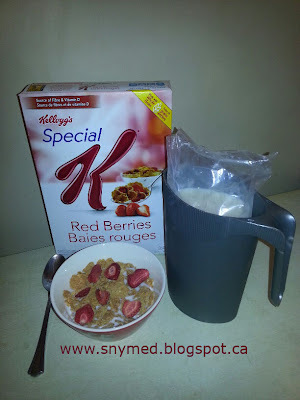 We always have Special K products in our home - I love how the product line has grown. My daughter loves the new shakes, especially the chocolate flavour. Country Mouse, City Mouse: who could say no to chocolate? !